When Microsoft released the Kinect, everyone – from Microsoft fans to Microsoft haters – applauded them for bringing such technology to the consumer. It led to a frenzy of hacking activities which resulted in some amazing applications of the Kinect outside of its intended application. Kinect had its beginning as Project Natal and was first demoed at the E3 Games Industry Expo in Los Angeles. It was later released in June 2010. 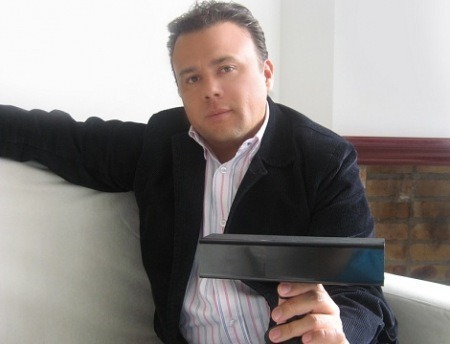 Now allegations are surfacing that Microsoft the technology behind Kinect from Colombian inventor Carlos Anzola. Anzola is said to have developed a similar technology, which he called the Human interface Electronic Decive (HiE-D), in 2007. The HiE-D works by projecting a pattern of dots on the user using infra-red. The infra-red patterns are invisible to the human eye but can be easily picked up by the an-infra red camera. When the user moves, the pattern changes and this is picked up by the camera and translated into functions which the computer can recognize. This is very similar to the technology that Microsoft’s Kinect uses. Anzola said that Microsoft asked him to send them a prototype of the device after they came to know about the HiE-D and he sent them one in 2007. He claimed that Microsoft even advised him to patent the technology behind HiE-D.
And he did apply for patent in May 2009 – just a few days before Microsoft actually announced Project Natal to the world. Anzola filed for a patent to the US Patent & Trademark Office on 28th May 2009 and the World Intellectual Property Organization on 29th May 2010. According to one general aspect, an apparatus configured to facilitate user gesture-based input may include an optical sensor, a plurality of infrared sensors, and processor. In various embodiments, the optical sensor may be configured to capture image data, within the visual spectrum. In some embodiments, the plurality of infrared sensors configured capture positional information regarding gestures made by a user. In one embodiment, the processor may be configured to receive the image data captured by the optical sensor and the positional information captured by the plurality of infrared sensors. In some embodiments, the processor may be configured to process the image data captured by the optical sensor. In various embodiments, the processor may be configured to determine, for each infrared sensor, a movement vector including coordinates that represents movement associated with the respective infrared sensor. In one embodiment, the apparatus may be configured to provide signals relating to the processed image data and the plurality of movement vectors to a host apparatus configured to be controlled, at least in part, by gestures made by the user. Microsoft too filed to patent the technology behind the Kinect - but they filed for it only on 23rd November 2010. It seems like neither Microsoft nor Carlos Anzola has been granted the patent yet.